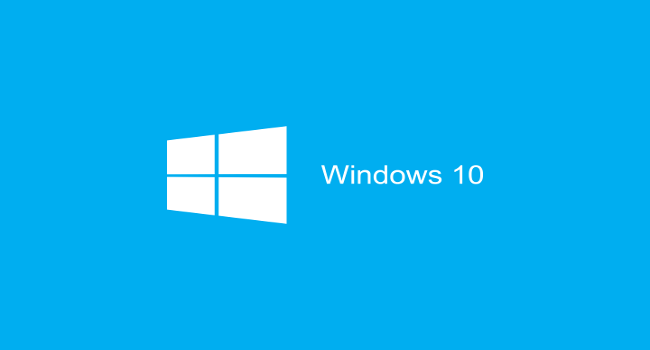 Microsoft has recently confirmed the rumors saying that the new Windows 9 will, in fact, be named Windows 10. The confirmation came from the executive vice president of Microsoft’s Operating System Division, Terry Myerson, who said that the Windows 10 title fits better with the new One Microsoft internal strategy. Scheduled for full release this summer to coincide with the CES 2015, Windows 10 is expected to bring to the table multiple breakthrough features and a spectacular new user interface. Although initially designed for designers, video, and image editing experts, the touch feature of Windows 8 was welcomed with enthusiasm right from the beginning. Apparently, the new Windows 10 will continue in this direction, but the Touch technology will evolve tremendously. The Charms bar will still be present but will feature new setting, and it will be easier to customize. Similarly, when compared to Windows 8, where the task switching was restricted to the left side, the new operating system brings the same feature, but far more versatile. With the previous task switcher from Windows 8 being canceled, Windows 10 needed a new similar tool. The former tricky task switcher will be replaced with an intelligent Task View that lets even the novice users switch easily between windows and virtual desktops. Also, the Alt+Tab command now switches between desktops, similarly to the task-bar commands. This new feature is designed to help new users snap apps and create effective work environments. The windows can be snapped into screens and tiles, similarly to the old Windows 2.0 or 3.0. The new Home location feature is now the default view for users in Windows Explorer. The Share button, a completely new addition, is neatly placed in the context menu, near the task-bar, allowing easy access. Although only a small percentage of users use the Command Prompt, the feature is still a critical component for Windows 10, but will be redesigned. The prompt is getting a new keyboard interface and, most importantly, shortcuts. Not groundbreaking in itself, but this small addition will come in handy for many experienced users. One of the most exciting things that we expect to see in the new Windows 10 operating system is the Continuum feature. This intelligent on-the-fly mode is designed for 2 in 1 devices that can interchange their mode automatically. For instance, if the system does not detect a keyboard, a black button will appear on the monitor that will help you navigate around the Desktop. As expected, the charms will disappear in the non-touch mode, but some say that the Microsoft’s are engineers still working on it and don’t have a definitive version. Windows Universal apps is the new name for the previous Modern apps/Windows Store apps and Metro apps. The new app model will let you select and run apps on any supported devices, including phones, servers, and other various mobile gadgets. The new app store will be universal, as the name implies, across all the platforms that support Windows 10. Also, all the previous Windows Store apps will be supported by the new version. One of the very interesting gimmicks of Windows 10 is the floating effect of the Universal apps. As Microsoft says, the new operating system wants to banish the separation between the Desktop and the Modern user interface. Windows 10 final version will launch soon and it is great info for me. Can’t wait to buy windows 10. :D Hopefully will bring happiness to all. Thats a great post. I am also looking forward to these features on the new OS. That’s a great post once again. 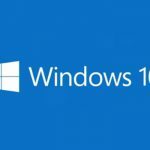 I am also looking forward to these Windows 10 OS features, I would especially like to you for this fantastic post thanks. After listening to the cries of the users, they have come up with necessary changes in the new OS. A much awaited OS and I am eagerly waiting for the full release. It’s about time Microsoft stepped up it’s game and hopefully, Windows 10 does deliver beyond all the talk. I’be been a loyal Windows user since forever, but constantly been tempted to switch because of the nifty apps and tools the “other side” has been introducing. Windows 8 seemed experimental. There are features of Windows 10 OS like Start menu is back! One of the best features of the modern OS is the notifications center, where you will be updated about the latest events/activities of all sorts. Thanks for the sneak peak! I think they’re ideas have been good the past few years in the direction they’ve been going but I’m hoping they put some more focus on a user-friendly environment. Does it still sounds like we’ll be able to upgrade for free? Looking at the features I think Microsoft is trying to attract users of other operating softwares to use Windows 10. Moreover it will be free for Windows 8 and 8.1 users. A new task view is the best feature of Windows 10. I got notification from Microsoft to upgrade to Windows 10. Today I have installed Windows 10. It’s really amazing. The Pro versions were always the goto for SMBs. Unfortunately starting with Windows 8 MS has been slowly making it harder to use AD and GP to manage this version. Nice one article John. Although I really liked the Hotspot feature which came with the anniversary update. It is a big savior for me.